Certain wines take you back – to specific, memorable moments complete with cherubs, picnics and wooded vales. Barbera is that wine for me, except the cherubs are replaced by parking lots and the wooded vales were clear-cut for a strip mall. Welcome to Suburbia – Picnics still allowed. As bleak as that sounds, the restaurant at the edge of the strip mall next to the flat expanse of concrete was excellent. Rosso Pizza – look it up if you’re ever in Santa Rosa, California. Consueldo, Exacto and I plopped down and immediately opened the menu (yes, the WINE menu – our priorities are straight) to decide what to order. We asked the waitress about a local wine with an English grandmother name “Barbera” and… it happened. Never before has a waitress verbally orgasmed in front of three unsuspecting guests at Rosso Pizza in Santa Rosa. Words like “God,” “unbelievable,” “sooooo good,” “THE BEST,” “love,” “amazing” spewed out between moans of ecstasy. Sitting in the strip mall next to the parking lot, we felt a little awkward being in public… and near children. Still, we ordered two. Thanks to that energetic waitress, Barbera is forever seared into my mind. And it’s a good thing too as it’s the kind of wine that tickles the food fancy. Not too big and overpowering, seems to work with pretty much anything carb-related and fairly easy to find – this is Barbera. 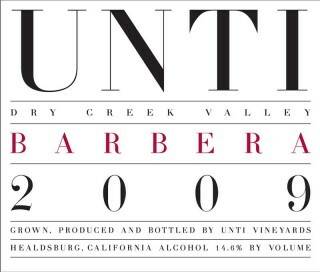 Unbeknownst to this wino, Barbera shows up all over the place, not just in California pizza joints. Italian sailors couldn’t get enough of Barbera and took it with them wherever they landed. New World, meet Old Italians. 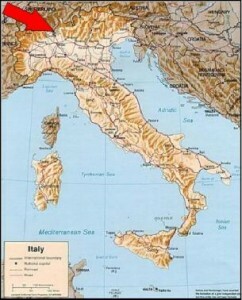 Even though it’s original home is Piedmont, up in the northwest of Italy, the New World is Barbera’s summer home. Argentina received more than its fair share of Italians back in the 20th century immigration wave and, true to form, they had loads of Barbera (sadly, no more). Brazil, Australia, the US and Uruguay all received big influxes of Italians and all have grown Barbera with delight. One of the joys of the grape is that it produces lots of fruit. Plus, it can be harvested early so a late frost isn’t going to destroy your crop and leave you with nothing but water for the winter. To top it off, the tannins are on the lower side so it’s easy to drink young and with food. No waiting around for your unborn child’s college graduation on this wine – bottoms up! * Italian reds in three words: Sangiovese, Montepulciano and Barbera. Numbers #1, 2 and 3, in order of how much acreage Italians devote to the vines. * They don’t make learning wines easy in Italy. Barbera synonyms include: Barbera Mercantile, Gaietto, Besgano, Ughetta and (my favorite) Barber a Raspo. * Hanna-Barbera. Not hard to guess what language Hanna’s partner grew up speaking at home.